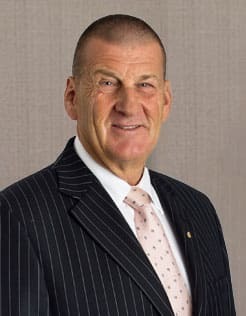 The Hon Jeff Kennett has previously served as President of the Hawthorn Football Club from 2005-2011. Mr Kennett was an Officer in the Royal Australian Regiment, serving at home and overseas. He was a Member of the Victorian Parliament for 23 years. Leader of the Opposition 1982-1989; 1991-1992 and was Premier of the State from 1992 to 1999. Mr Kennett is currently Chairman of EQT Holdings Limited and a Director of Seven West Media Ltd. He is also Chairman of Open Windows Australia Proprietary Limited, Chairman of CT Management Group Pty Ltd, and Chairman of Amtek Corporation Pty Ltd.
Mr Kennett is the Chairman of The Torch, a program assisting incarcerated Indigenous men and women and post their release. Mr Kennett was the founder of beyondblue: the national depression, anxiety and suicide initiative and was Chairman from 2000-2017. Mr Kennett is associated with many other community organisations. Peter Nankivell has been a practising commercial lawyer for 30 years and consults to Thomson Geer lawyers where he has been for 23 years. He was formerly the Chairman of Partners at Herbert Geer lawyers and is the past Chair of the Centre for Eye Research Australia Ltd. Nankivell is currently a Director of Xavier College Foundation Limited and a director and advisory board member to a number of companies. 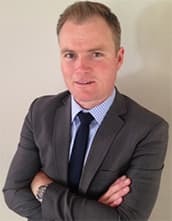 Nankivell has been a member of the Clubs Finance and Risk Management Committee since 2012 and has been a legal adviser to the Board and assisted in the development of the Clubs governance model and constitutional review. He was elected to the Board in 2014. 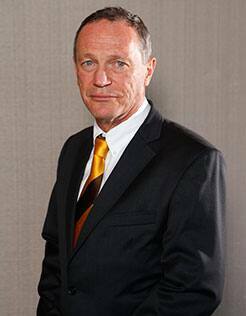 Andrew Kaye was appointed to the Board in February 2011 and is a longstanding Hawthorn member. He is a Neurosurgeon and Professor of Surgery and Head of the Department of Surgery at The University of Melbourne. He is the Director of the Department of Neurosurgery at the Royal Melbourne Hospital. 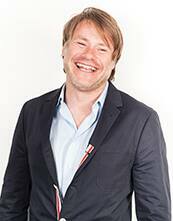 He has had extensive experience in education, training and research. Richard Garvey is a company director and adviser to a number of privately owned businesses and family groups. Prior to his current role he spent 34 years in chartered accounting including the last 22 years as a partner of KPMG. 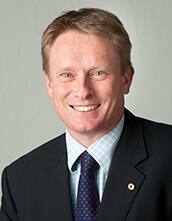 Richard was the lead audit partner for Hawthorn Football Club between 1998 and 2007. Appointed a Director of the Club in October 2010 and elected vice-president in 2015, Richard succeeded Andrew Newbold as President in February 2016 and was formally elected President at the Club’s 2016 Annual General Meeting, before he resigned as President in October 2017. Outside of Hawthorn, Richard is a member of several advisory boards including Vaughan Constructions Pty Ltd, where he is currently Chairman of the Board of Directors. He was a Board member of the Australian Institute of Management - Victoria and Tasmania for 11 years until December 2011 including four years as president and a national Board member. Richard Vandenberg is the sole director, Shareholder and CEO of LCW Corp since early 2013. “Richie” has over 13 years’ direct experience in the wine industry - as a grower and a 25-year association through his family enterprise. His involvement in the wine industry is extended through his on-going ventures in the re-development and operations of vineyards throughout the South Australian Limestone Coast wine region and beyond. Previous to LCW Corp, Richie was the Managing Director of orange juice manufacturing and marketing company, Lencia Fruit Juices and has firmly established industry relationships throughout the South East of Australia. Richie’s career outside his family enterprise commenced as a professional athlete. Between the years of 1997 and 2007, he played with Hawthorn Football club and achieved Captaincy from 2005 until 2007. Lucinda Nolan brings a wealth of knowledge to the club with extensive experience across the Emergency Services Sector. In 2015, she was selected as the first female CEO of the Country Fire Authority (CFA), one of the world’s largest volunteer based emergency service organisations. Prior to joining the CFA, Nolan spent 32 years with the Victoria Police, reaching the rank of Deputy Commissioner. Much of the role was dedicated to the continual improvement of service delivery in the face of complex and competing crime, disorder and service demands. She was awarded the Australian Police Medal in 2009. Lucinda has a Master of Arts and a Bachelor of Arts (Honours) from Melbourne University and recently completed the Advanced Management Program at Harvard University. 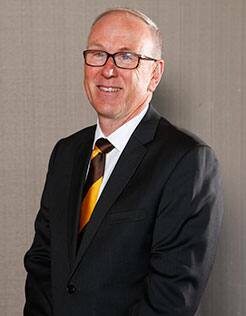 Tim Shearer, a lifelong supporter of the Hawthorn Football Club, brings a wealth of knowledge to the club with extensive experience across the fundraising and foundation sectors. 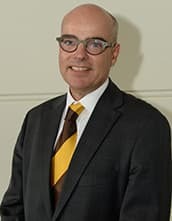 Since 2012 Shearer has been the Director of Development at Scotch College where he manages the college’s building and scholarship fundraising programs and is also the Executive Director of the Scotch College Foundation. Prior to his positions at Scotch College, Shearer completed a Business Degree at Swinburne Institute of Technology, majoring in Marketing and Economics, and worked in senior customer management positions at leading FMCG companies Unilever and Coca Cola Amatil. He also holds a Monash University Graduate Diploma of Education. Shearer has had previous AFL experience field umpiring 23 AFL senior matches in 1997 and 1998. Radek Sali is the former CEO of Swisse Wellness and a brand visionary who revolutionised the vitamin and supplements product category making it aspirational. Radek pioneered the use of brand ambassadors to promote health and happiness as a way of life and ultimately led Swisse Wellness to become Australia’s largest global wellness company. Swisse was the number 1 natural health brand in Australia and China. Radek is particularly insightful on building a positive organisational culture and most importantly a workplace place that people love coming too. Under his leadership, Swisse Wellness was for eight years consecutively the world’s fastest growing pharmacy brand. The company sold to Hong Kong listed Biostime for over $1.7 billion, one of the biggest private company transactions in Australian history. At the end of 2016, Radek moved on from Swisse to build his own investment office where he could continue to live out his dreams, invest in businesses that he felt truly passionate about and have a positive societal impact. Radek is now the Chairman of Light Warrior, having founded the group with Adam Gregory in early 2016. In addition to his role as Chairman of Light Warrior Radek is the Chairman of MAdE Establishment, a Director for Made by Cow, One Giant Mind, Hydralyte, myDNA, Stratosphere and Udify. Radek is also the Chairman and cofounder of the not for profit Lightfolk Foundation, a Director for the charity Igniting Change, a Director of Food and Wine Victoria, a Campaign Cabinet member for Latrobe University and a Director at Hawthorn Football Club and the National Institute of Integrative Medicine. Under Radek’s leadership, Swisse was awarded Australia’s best private business 2012 and The Best place to work in Australia for 2015 & 2016. Radek was awarded GQ business person of the year in 2012, La Trobe honorary Alumni 2016 and was a Honerary Appointment with Melbourne University (Faculty of Business/Economics) in 2017. Katie is a passionate Hawthorn supporter and long-standing member who was appointed to the board in April 2019. Katie is currently a director and shareholder in Yarra Capital Management, an independent funds management organization. Prior to this role Katie was Managing Director at Goldman Sachs Asset Management and was previously a partner at JBWere. Katie has over 20 years experience in investment markets and brings strong financial understanding and disciplines to the board. 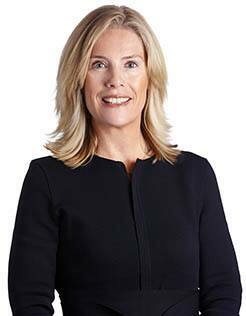 Katie was appointed to the Investment Management Committee of the Hawthorn Football Club in early 2018. Earlier in her career, Katie worked at PricewaterhouseCoopers. 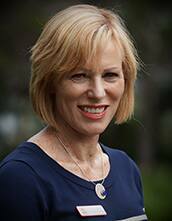 Katie holds a Bachelor of Commerce from The University of Melbourne and is a qualified Chartered Accountant.